Even the simplest pieces in Acne Studios' collections exude Scandi-cool. This 'Eva' T-shirt is cut from soft ribbed Lyocell for a slim fit, with contrasting cuffs and a matching crew neckline. 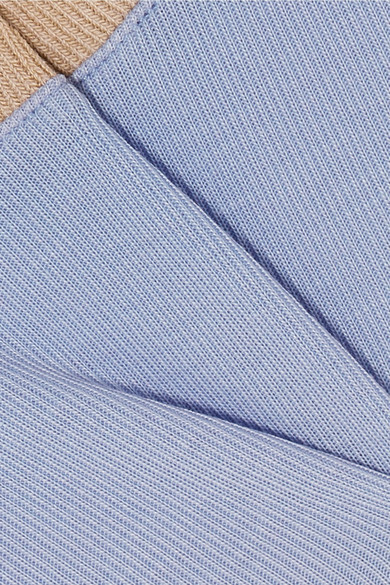 The hushed blue and beige hues are perfectly on trend for Spring '19. Shown here with: Joseph Pants, GANNI Clutch, Neous Sandals, Kenneth Jay Lane Cuff.